BeadCrate is a monthly subscription box for beading enthusiasts. Choose from “The Enthusiast” for $18.99 a month or “The Collector” for $35 a month. Save with longer subscriptions. 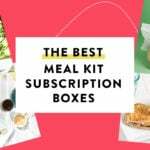 You can also buy a single box to see if this subscription is for you. The Products: A selection of beads curated around a monthly theme (or beads that are just cool and random). This letter/information sheet accompanied the shipment. The theme this month is a celestial theme with lots of tones reminiscent of the moon and starry nights and such. Glass bicones don’t have as many facets/as much sparkle as crystal bicones; the edges aren’t as sharp, either. But they have their own charm and can still substitute for other 4mm beads in some patterns. I’m drawn to the Montana blue color more and more lately, too. There is this trend of firepolished beads getting smaller and smaller, to the point where there are some seed beads that are bigger (or the same size, allowing for substitutions). These are actually pretty tiny but I collected some similar colors last year so I’ll easily be able to find some companions for these in my stash. You’ll usually get one charm or finding (clasp, slide, etc.) in BeadCrate. This one would make a very delicate pendant and would also be small enough for an earring, assuming you could find a match. I think the combination of the matte finish and the AB coating is interesting here. These will be hoarded for future use in a pattern (just like you can substitute many 4mm beads for each other, you can do the same with the many 3m beads out there). These beads combine two of my recent interests, the polychrome finish (see some examples here from a small, independent bead seller I like), and English cut beads (sometimes called “antique cut” instead). These have a different pattern of faceting than standard firepolished rounds and look a little rounder as a result. Goldstone (brown or blue) is actually glass made in low-oxygen atmosphere. It is not a natural material. But it is still super pretty and is totally suitable for any use where you’d use a semiprecious stone. These are a good size for earrings. Ooh, splash, another finish I’ve been into lately. (I just ordered a bunch of copper splash beads from here.) Gemduos have two holes and appear in all kinds of patterns (and are pretty much interchangeable with DiamonDuos). This mix has several sizes of firepolished rounds as well as some moon faces and a star bead. I was really into this type of mix back when I first got started beading, so I am pretty sure I have a ton of coordinating celestial beads if I dig into my stash. “Milky” and “Moondust” are other finishes I like. (You can combine two or even three finishes in the same bead, so there’s been just an explosion of colors and styles the past few years.) These are somewhat larger than a lot of the other beads, but would work in any of necklaces, bracelets, or earrings, I think. This is a classic size of a classic bead shape. I used a few but I still have some left. I think the amount of sparkle makes these really nice as components of earrings. I would probably call these “rondelles” instead of “gemstone donuts” but you know, whatever works. These have nice faceting and it’s good to see that plain transparent beads are still being made and still look great There aren’t many patterns for this type of bead but I’m determined to come up with a beadweaving design. You’ll usually get seed beads with this subscription, most often in size 8/0 or 11/0 (so great for beadweaving). I have a nice stash of size 11/0 seed beads that is oddly lacking in basics like cobalt (perhaps due to my obsession with new and interesting finishes) but these will be great in pieces of jewelry made from patterns. This is another type of bead that has been around for a long time, but I guess they are still being made! I see this in a ladder-style design, where the beads form rungs of a sort. I had bought these combs back when Beadaholique was having a sale and wanted to try something with them. This is my first attempt and there are probably some things I would try to do differently next time, but overall it wasn’t bad. In case you are wondering, in the second picture, it is in a doll’s hair because my roots are really showing right now and my hair didn’t look so great on the day I took these pictures. Verdict: I did not calculate a value for BeadCrate, as explained above in my note about prices. If you divide the $23.99 cost of the box ($18.99 a month + $5 shipping) by the number of items (I counted 13), you get about $1.85 per item. I liked the darker colors and all the sparkle this month; there were really just a ton of ways to go with this box and luckily I still have a lot of the beads left to try other things. I am also impressed with the variety of bead finishes – this is just something I’ve started paying more attention to recently, and it’s fun for me to see splash, moondust, and polychrome finishes along with classics like AB. Can you still get this box if you sign up today? No, your subscription would start with the January box. Destash items and excess inventory (and sometimes whole boxes) may occasionally be available in the BeadCrate Etsy shop. Value Breakdown: This box costs $18.99 + $5 shipping, which means that each of the 13 items in the box has an average cost of $1.85. Check out my past Bead Crate reviews and visit the Craft Subscription Box Directory for more great beading, craft supply, and DIY project boxes. What did you think of the January 2019 Bead Crate? Do you subscribe to any beading or craft boxes? I like the comb. I never thought of making them. There were so many beautiful colors this month you need to do several more jewelry pieces with Montana Blue AB Druks, denim blue beads, cobalt silver splash, and pink moondust ovals. "Apparently I am the only one who finds this water bottle hideous... to each their own I guess. This will be give..."
"I cancelled after the spring box due to product overload and didn't have an issue canceling on their site. I als..."